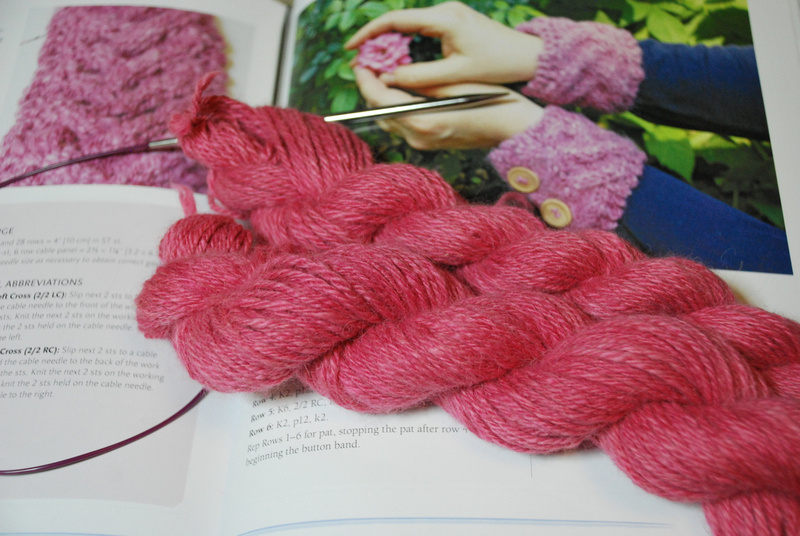 Yarn Works is a new book subtitled How to Spin, Dye and Knit Your Own Yarn. 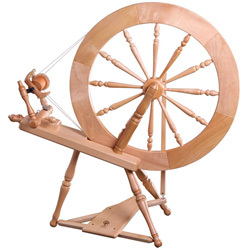 It's aimed at knitters who are interested in spinning and dyeing. I received the book for review and decided that the best way would be to work one of the projects. The book is organised into 4 main sections; Fibre workshop, Spinning workshop, Dyeing workshop and Knitting workshop. 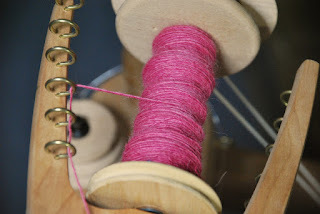 This meant that for working one of the projects meant referring back to various earlier pages for details of mordanting, using the cochineal and spinning. I was also a little confused by quantities; I found a contradiction re quantity of dyestuff needed and the quantity of fibre / yarn given in the project is far more than actually needed to make the item. This last point isn't a problem at all, the yarn is beautiful and I have enough left over now to make a bigger project. The project I chose is simple, spinning alpaca appealed to me and I've not used cochineal before (if you find the idea of using the actual bugs a bit grizzly then there are powder or liquid options). 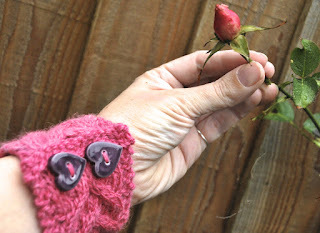 The pattern is just 16 stitches knit until long enough but a garter edge, a cable pattern and buttonholes make it interesting. 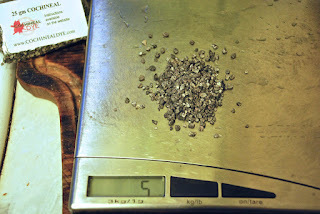 Cochineal gives alpaca a lovely dusky rose colour. The fibre I used is a bit pricey but it's beautiful to work with. 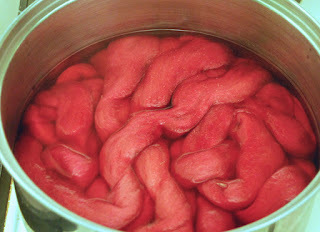 I went with the quantity of cochineal given in the Dye workshop section, a remarkably small pile of bugs. The dye wasn't quite exhausted after a prolonged simmer, so they really do seem to contain a lot of colour. Beware - alpaca is very easy to felt, so handle carefully when dyeing, rinsing and drying. The book suggested carding locks and spinning from rolags. This is the only instruction I didn't follow to the letter. I spun my prepared roving woollen by spinning from the fold. After navajo-plying the yarn is very soft and nice and even. The warmers were a very quick knit, each one a single sitting, or maybe even both in a single sitting if you knit quickly or can sit for longer than me. My buttons are from Helen Dixon. There's a large appendices section at the end. Some of this information is detailed information on topics such as fibre blending, determining WPI and twist count, troubleshooting your wheel, the colour wheel and mixing dyes. This would all seem to fit well in the relevant chapters, but I assume that this more advanced information has been separated out to keep the workshops uncomplicated for those trying the techniques for the first time. There's an appendix about making various tools on the cheap if you're on a budget. There's also a wealth of reference information such as weights & measures and knitting abbreviations.